A strong assessment and audit component is one of the foundations to best in class safety performance and environmental compliance. A key facet on effective safety management is being proactive, not waiting for the next incident to tell you where the problems are. That is why a strong assessment and audit component is one of the foundations to best in class safety performance and environmental compliance. Getting out there and finding the failures before they occur can take your program to the next level, prevent incidents, maintain compliance, avoid costly Environmental citations and lower your Workers Compensation rates. Are you based in the San Francisco Bay Area? 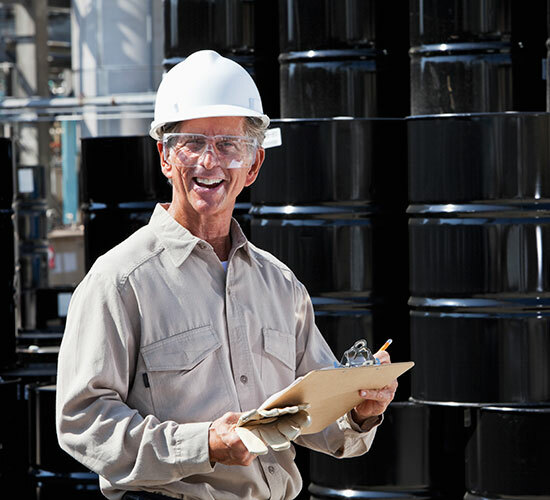 Safety Compliance Management’s safety audits and environmental assessments go above and beyond in ensuring your company and sites comply with local, state of California, and Federal OSHA requirements. We help build a safety culture where employees and management work together to do the job both effectively and safely. Our fine attention to detail is the reason why San Francisco Bay Area businesses trust us to cover their safety and environmental needs. Our environmental and safety audit team services are not limited to the San Francisco Bay Area… we routinely provide environmental health and safety assessments for business all over the country. If you are a United States business, we would be more than happy to provide you with a quote for our health and safety assessment services. Our assessment and audit team will meet with key personnel in your organization to identify goals and a scope for the assessment or audit. The most effective means of achieving those goals and an agreed on time frame will be established. Upon completion of the assessment or audit, our team will work with you to identify reasonable corrective actions for achieving organizational goals and developing a strong safety culture. Safety Compliance Management will help your job site personnel develop critical processes, programs, and solutions. Injury and Illness Recordkeeping: OSHA 300 logs, Safety Committee Minutes, Safety Training records, Toolbox topic ideas, Material Safety Data Sheet maintenance – all of these are components of your Injury Illness Prevention Plan, and are among some of the first things OSHA asks to see. Can you afford not to have your records kept ready? California OSHA in Title 8 §5157(k) requires that at least one standby person at the site is trained and immediately available to perform rescue and emergency services. Safety Compliance Management has provided standby confined space rescue for numerous clients. We will either train your personnel to perform rescue services or provide the standby rescue for you.